Ukulele is one of those rare types of musical instruments, which is capable of instantly lighting up the mood in a place. Couple of chords later and everyone has a smile on their faces. 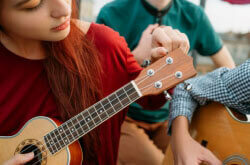 Improving your skill on a uke takes time, but it doesn’t have to be boring. On the contrary, you can have a great time developing your skills by learning new and exciting songs. 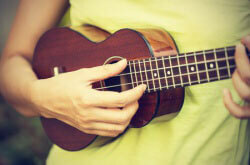 Today we are going to show you some of the best songs to play on ukulele, which will be challenging but also gratifying. We will include some of the well-known classics, as well as songs which you might not have heard of. Each one of our picks has made the list for a reason, so you can rest assured that we only chose the best ukulele songs for you today. Some you will recognize right away, others might be a bit of a surprise, but all of them sound absolutely amazing on ukulele. Before we get started, let’s go through some warm-up steps. 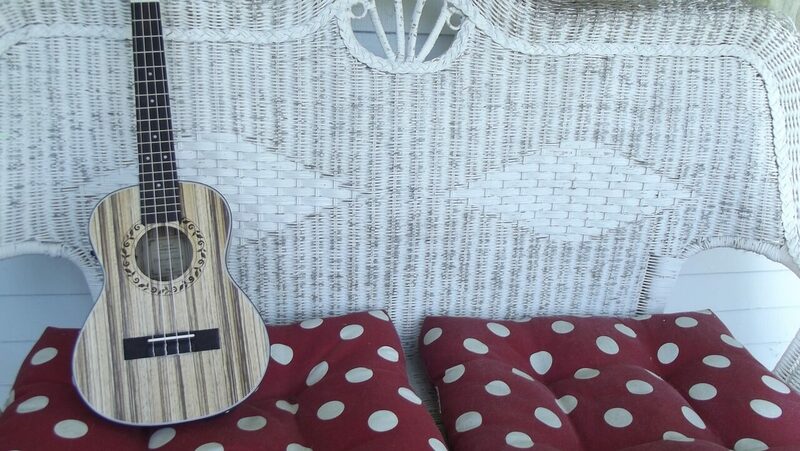 First thing first, make sure that your ukulele is properly tuned and make corrections where necessary. If you plan on practicing singing as well, we suggest you do a proper vocal warm-up routine. If you’re not sure what this means, there are many great guides online. It’s important to prepare your voice for a lengthy singing session as you definitely don’t want to risk pushing yourself too far. With that said, let’s dig into some top ukulele songs! What better song to start things off with, than this masterpiece by Israel Kamakawiwo’ole. The reason why this composition is one of the best songs for ukulele doesn’t have that much to do with the original pieces Israel fused together, but rather the way he did it. Kamakawiwo’ole took the world of Bob Thiele and Harold Arlen, and infused it with his own magic. Learning how to play this piece on ukulele might take some time, but the song will teach you a lot of the basic strumming patterns and chords. It just so happens that Somewhere over the Rainbow/ What a Wonderful World by Israel Kamakawiwo’ole is one of the easiest songs you can learn on ukulele. If you are just starting out, and have done your homework in terms of basics, this is the song to master. Once you’ve done that, we encourage you to try out some of the other Israel’s songs, as this man was one a true genius on ukulele. Even though it’s a more modern piece, ‘I’m Yours’ by Jason Mraz is definitely among the few great ukulele songs to come up in recent years. 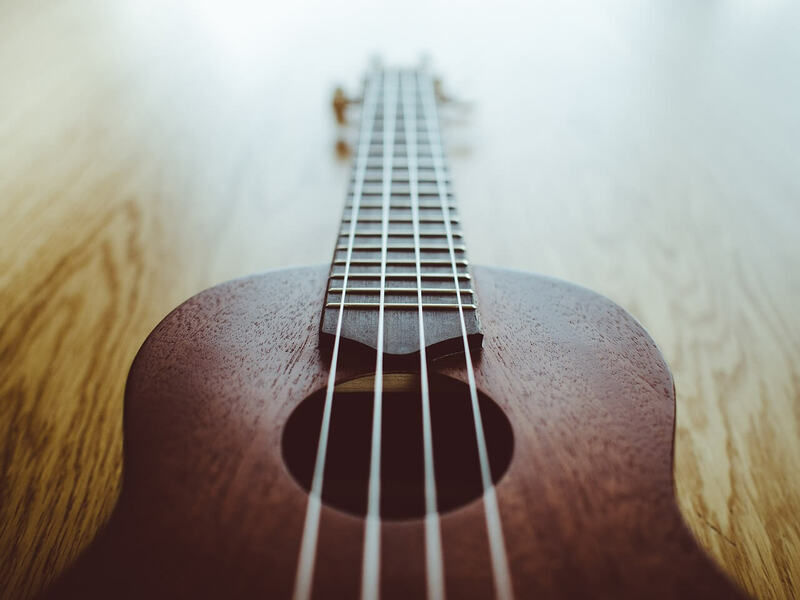 The song itself is pretty simple and shows you that you don’t need to be a technical prodigy in order to play something on uke that sounds really good. Mraz kept things fairly basic, which is partially because the song was molded by the mainstream standards, however it does have some of the special vibe to it. You could also say that the chord progression is much closer to modern pop music. What’s really great about ‘I’m Yours’ is the fact that it lends itself great to singing along. In other words, if you are practicing singing while playing uke at the same time, this song is a great learning tool to achieve just that. Since it uses a fairly simple strumming pattern, ‘I’m Yours’ leaves a lot of room for improvisation. It allows you to try different things, which you can later apply to your own music. Here’s an instant classic, one of the best uke songs and one that will challenge you. Sure, there are several ways you can play ‘Can’t Help Falling In Love’ on ukulele, and that’s the beauty of this song. You can choose to only play the basic chord progression, or you can spice things up and add some subtle details into the mix. The fact is that there’s a lot to learn with this piece. If you ask us, we’d suggest starting off with the chords and a simple strumming pattern, then when you’re comfortable with the chord progression and keeping the rhythm, you can change the strumming pattern for one that is closer to the original song. Finally, as the last step, you can drop in a few licks here and there, while practicing singing along isn’t a bad idea either. Just like the songs we’ve already listed, ‘Can’t Help Falling In Love’ is one of those tunes you can play for your friends around the campfire. It will never get old. So far we’ve listed some of the basic and some of the more challenging best songs to learn on ukulele. ‘Trouble’ by Never Shout Never is a bit different. This is as simple as it gets in terms of chords and strumming patterns, but its value as a learning tool comes from somewhere else. If there was ever a song that will challenge when it comes to singing and playing at the same time, it’s this one. We’re talking changes in tempo, verses which go against the rhythm of the songs and similar. However, once you do manage to perform this hit flawlessly, it will be one of the most gratifying feelings ever. The key with this one is to start slow and start basic. The intro is consisted of playing just a single chord four times per bar, which grows into a full strumming pattern later. If you find it too difficult to sing and play this at first, try to perfect the overall rhythm first, and then introduce singing at your own pace. It might take a bit of time, and some of the lyrics will probably force you to explore the limits of your vocal capabilities, but it’s all so worth it in the end. While it’s a pretty straightforward tune, ‘Riptide’ by Vance Joy is one of the best songs to play on ukulele if you like more modern stuff. There are several interesting parts where you might be challenged by the song, but overall the chords and chord progression is pretty simple. Now, when it comes to the strumming pattern used, you will find it closer to that classic Spanish guitar aesthetic. 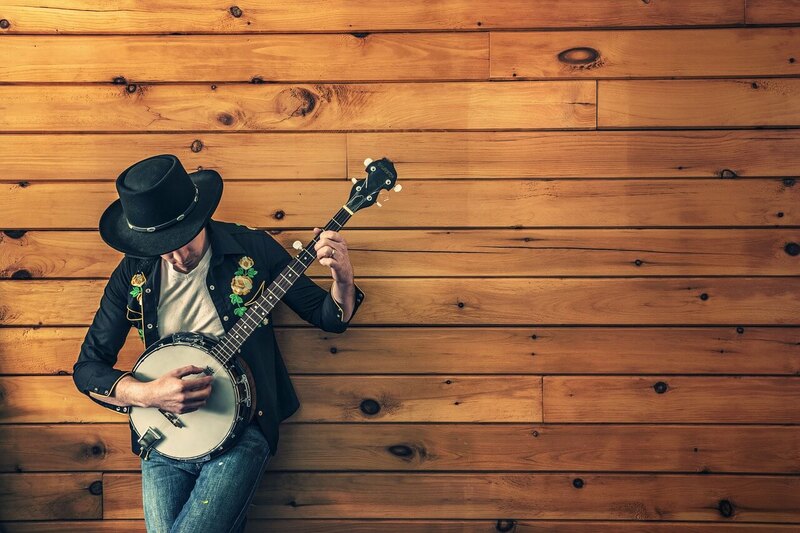 While it sounds great on uke, this strumming pattern will challenge your ability to go from chord to chord. There isn’t really a lot of time to grip a nee shape on the fretboard, so you’ll have to be quick. Depending on your current level of skill, this may or may not be a problem. If you’re just beginning, take things easy and you will be able to play the whole thing in its original form in a matter of weeks. When it comes to singing, things get a bit tricky. Vance Joy has a great vocal range and he is not afraid to show it off. Chances are you won’t be able to sing some of the parts like he does, but that doesn’t matter. Drop them down an octave or two, and you can still make things work. La Vie En Rose belongs to those iconic songs which have been interpreted on just about any popular instrument out there. We’re talking about one of the greatest ballads ever written and coincidentally, one of the best ukulele songs you can learn to play. A great thing about La Vie En Rose is the fact that you can adapt it to your singing and playing style. If you want to do it like legendary Edith did, you will have to put your voice into overdrive and reach some pretty high notes. However, if you want to perform the song in a way which is more suitable for uke, it gets much easier. In terms of strumming patterns, the standard uke pattern works just fine. Naturally, this is also prone to changes depending on what you like and what you’re comfortable with. If you feel like experimenting a bit, you can arpeggiate the chords, or even speed things up. It’s totally up to you. On a similar note, this is one of the rare songs which can sound sad even on ukulele. If you play it really slow, and break those chords down to a few notes, you’d be surprised how blue the song can sound. Speaking of sad ballads, we have to mention ‘Hallelujah’ by late Leonard Cohen. He’s unfortunately another legend we have lost this past year, but his work lives on. Playing ‘Hallelujah’ on ukulele doesn’t take away the energy from the song. On the contrary, it can give it a very special vibe you can’t achieve with any other instrument. Paired with great-sounding vocals, there’s pretty much no fan of Mr. Cohen who will dislike the performance. So, why is this a great song to boost your uke skills? It all comes down to rhythm and accentuating certain chords. The song starts out slow and soft, but as you keep playing, the intensity slowly picks up. Being able to raise the volume in a linear fashion is not as simple as it sounds. If you’ve never tried to do this before, you might find that you’re all over the place – raising intensity in at the wrong places, or keeping it low when it should be high. 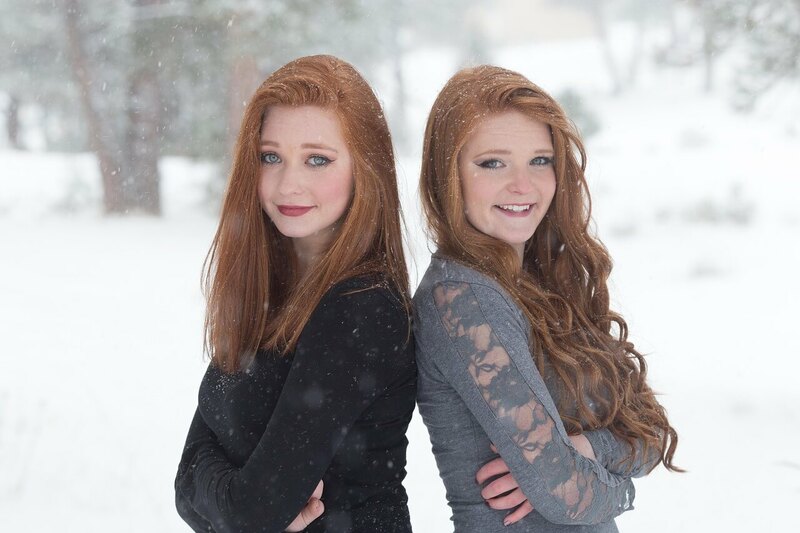 Unlike our previous entry, ‘Hey, Soul Sister’ is a very happy song, and also one of the best songs to play on ukulele. 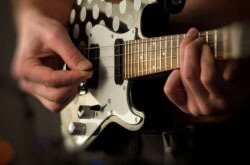 It won’t require any special skills to master, especially considering the strumming pattern is as basic as they come. Chords are easy and the progressions are not particularly difficult at all. One is where you will be challenged is singing this tune while strumming your uke. In its original form, the lyrics are sung pretty high up in terms of tonality. While we’ve already shown you some songs that feature this type of vocals, the issue here is that ‘Hey, Soul Sister’ just doesn’t sound the same unless you really hit those high notes. Right off the bat, this might put a lot of people off from even attempting to learn this piece. However, your voice is also an instrument that can be pushed to new limits. If singing is something you really want to get into, we definitely suggest you try out singing this song as you play. It might be hard, it might push you to the limit, but it’s absolutely worth the effort at the end of the day. 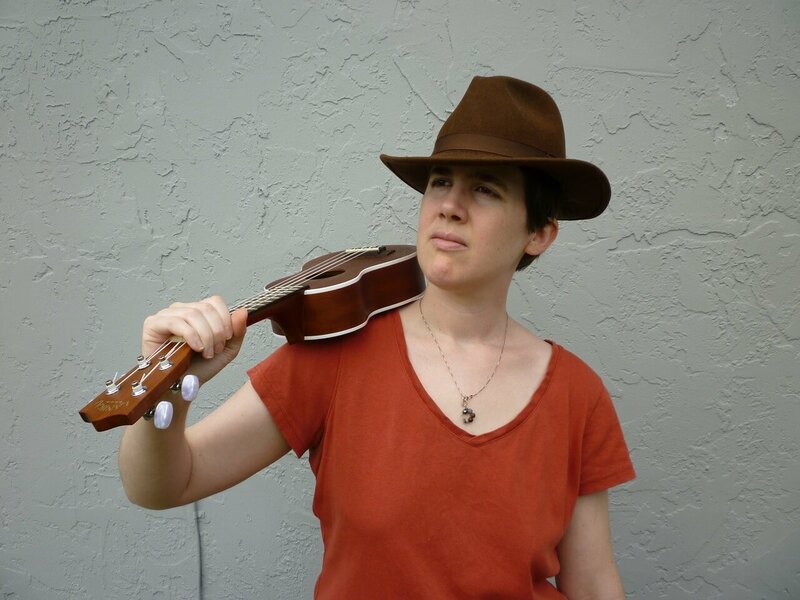 You’ve probably never thought this song would be popular among the ukulele crowd, but it is. Taylor Swift has a talent for turning simple chord progressions into incredibly catchy songs which are loved by millions of fans out there. Playing ‘Blank Space’ on ukulele is pretty easy and simple to do for beginners. With that said, it is slowly becoming one of the best ukulele songs, and definitely the most played one among the younger crowds. Playing this happy tune is easy, that much we know by now. However, the way you sing it can determine whether you are going for a happy go-lucky vibe or something a bit more blue. Either way, the song definitely sounds great. Strumming pattern is also one of the areas where you can play around a little. Originally, most people who covered ‘Blank Space’ on ukulele used the standard Uke strumming pattern. However, that is something you can easily change and infuse the song with a variety of emotions. You could say that ‘Blank Space’ is a blank canvass, so go and make it your work of art. ‘Hello’ is one of those songs which lit the world on fire in a very short amount of time since it was released. It didn’t take long before it found its way to ukulele, and the result is impressive. In a way, ‘Hello’ fits great with the nature of ukulele as an instrument. Since Adele’s vocal prowess is what gives the song its power and momentum, you can pretty much play it on any type of instrument out there. The song is relatively easy to learn and it uses a straightforward strumming pattern. Figuring out how you want to accentuate the strumming is up to you. Some like to play it faster, for a more pop feel, while others love to slow it way down and turn it into a powerful ballad. The beauty of ‘Hello’ is its ability to sound great no matter how you sing it. Want to go for the authentic Adele performance? If you can pull it off, all the power to you. However, even if you can’t, chances are it will sound amazing. ‘Hello’ is definitely one of the best songs to play on ukulele at the moment. Now here’s a song that’s just made for ukulele. You’re probably thinking that’s a crazy thing to say, but you will know it as soon as you try it. Creep’ is one of those songs that you can bend to your playing and singing style pretty easily. Original vocals are dark and often times melancholic throughout the song, but you don’t have to follow that pattern. You can raise the tonality of the song, making it a much brighter piece and it will still sound amazing. Is it among the best ukulele songs out there? We think it definitely is. Try it out for yourself and see what you can make of it. Just a little piece of advice before we move on. If you want to take the song to a whole new level, try arpeggiating the intro chords. It will make a world of difference and you will set the stage for the remainder of the tune quite nicely. Ed is one of those young artists who has a very powerful story to tell. His climb to world fame is an inspiration to many, which is partially why he has so many fans all around the globe. His ‘The A Team’ is one of the best songs to play on ukulele and top ukulele songs in general. There’s more chords than you’d see in the tunes we have shown you so far, but almost half of them are simple barre chords. The great thing about ‘The A Team’ is the fact that you can make it as simple or as complicated as you want. It leaves a lot of room for improvement, especially if you are one of those players who likes to spice things up with a few licks here or there. When it comes to strumming patterns, you can be creative or you can use the standard uke strumming pattern. Keep in mind that there are several places in the song where dialing things down is necessary. Overall, it’s a great piece to learn and a great tune to play for your friends and loved ones. 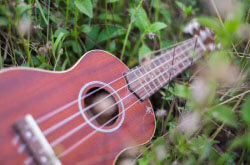 The last tune we want to show you is one of the more challenging songs you can learn on ukulele. It’s a hit you’ve probably heard so many times by now. The secret to playing ‘All of Me’ on ukulele and retaining that power John Legend’s version has, is to arpeggiate the verse. Combine that with a well practiced chord progression and you are set for success. The best thing is – after you are done with the first chorus, going from arpeggiated pattern to a standard strumming pattern boosts the energy of the song to a whole new level. Vocals are not that hard to get down as long as you are capable of hitting the notes right. The chorus might push you a bit since there are several high notes in there, but that is completely up to you whether you want to sing them so high, or not. ‘All of Me’ is definitely one of the best songs for ukulele which feature that modern vibe. Once you’re comfortable with it, you will find your friends begging you to pull out the uke and perform ‘All of Me’ for them. We’ve shown you some of the top songs to play on the ukulele, including classics and modern pieces as well. The whole idea behind this list is to get you out of your comfort zone gradually and introduce you to tunes which will challenge you. Almost all of the titles we’ve presented you today are prone to improvisation. You as a player can easily adapt these songs to your skill level and playing style, slowly upping the thresholds as you go. It’s important to not forget the prep work we’ve mentioned at the beginning of the article, and most importantly, to have fun. Fun is what it is all about. If you get frustrated at any point, just take a break and come back when you feel like playing again. There’s nothing to gain by forcing yourself to do something you just don’t feel like doing. 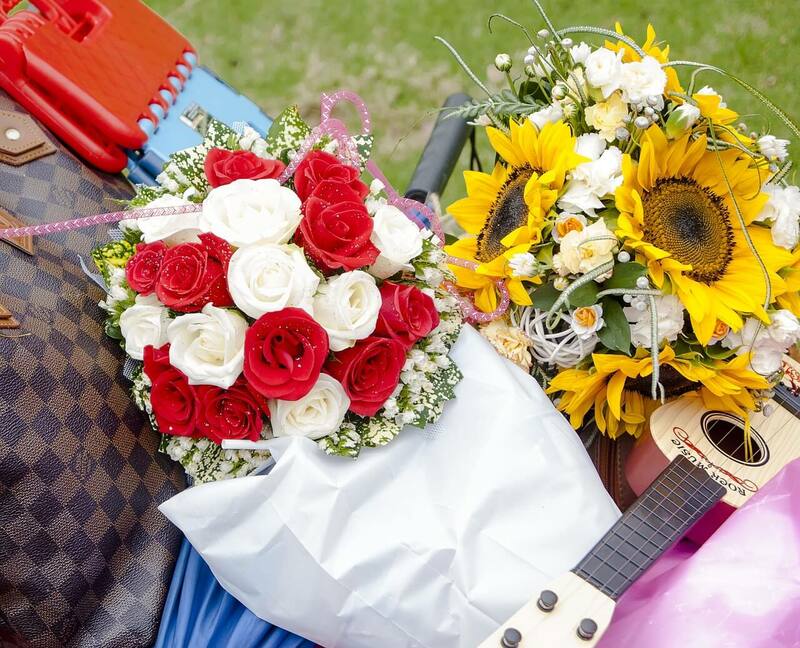 With that said, these 13 songs form up a great repertoire which will allow you to entertain your friends and loved ones whenever the occasion arises. We hope you enjoyed our guide and found out about some songs you weren’t familiar with before.